Which Dodgers and Angels prospects are the next Cody Bellinger and Mike Trout? Who's rising and who's falling? Who's the mid-summer call up to keep your eyes on? 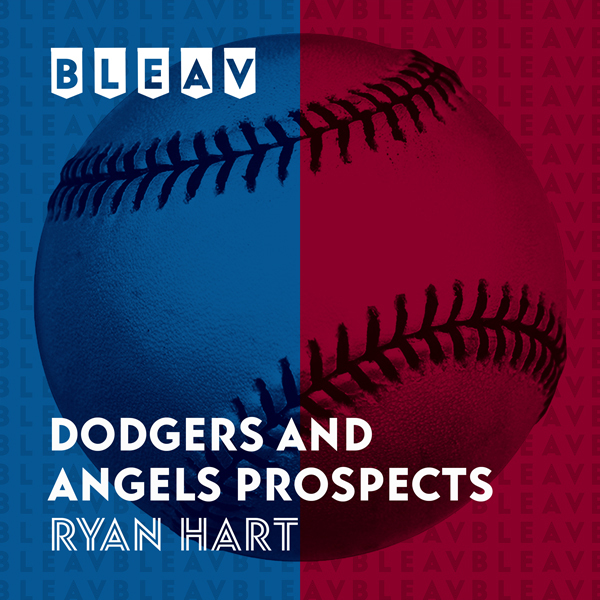 Listen in as Ryan Hart gives you the insight you need on LA's prospects from Summer Leagues through Triple A.
Chris Welsh from In This League and Prospect One stopped by today for an interview and we discussed all things prospects with a focus on Dodgers and Angels guys. Plus, we back away slowly from potential controversy. Today we’re joined by lead editor of Dodgers Nation Clint Pasillas, also co-host of the Blue Heaven podcast. We talked about the start of the season for the Dodgers, and play a fun baseball game. Also on the show, injury updates, prospect updates, and when we’re going to see Gavin Lux. Episode 17: Where Are The Best Prospects? Out of Chapman University in Orange County, California, Ryan Hart is the General Manager of a The Pacific Shores Summer League in San Diego. The Pacific Shore League attracts college players from across the country, as well as international players from Korea, Japan, and Taiwan. He also works for the very successful San Diego Force, which has won 8 league titles and is a regular participant at the NBC World Series in Wichita, KS. Ryan is connected with scouts, and front offices across the MiLB/college baseball communities, and when he’s not recruiting or scouting for his teams, he’s studying all things related to prospects. He splits his time between San Diego and LA, and tries to catch a baseball game whenever he can.